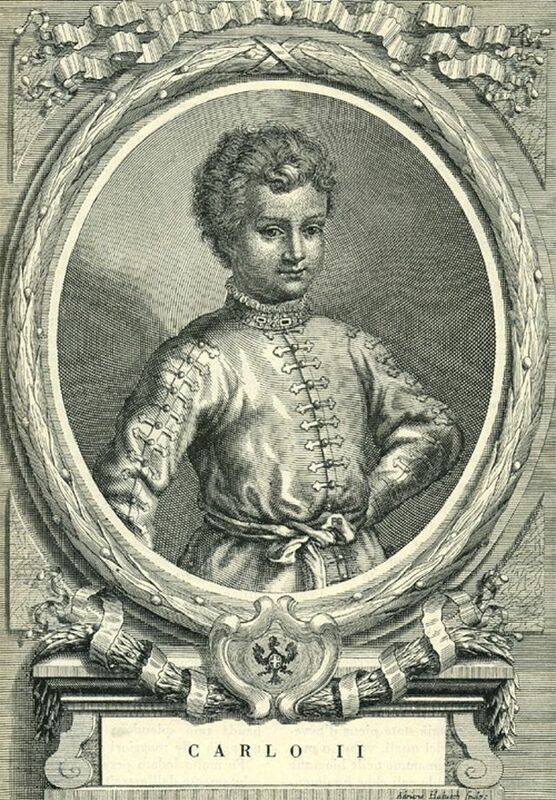 Amadeus VII’s death led to the accession of his eight-year old son, Amadeus VIII (1383-1451). The young prince’s position was perilous: because of its strategic situation, Savoy was inevitably drawn into the geopolitical struggles between the Emperor, the Pope and the French. 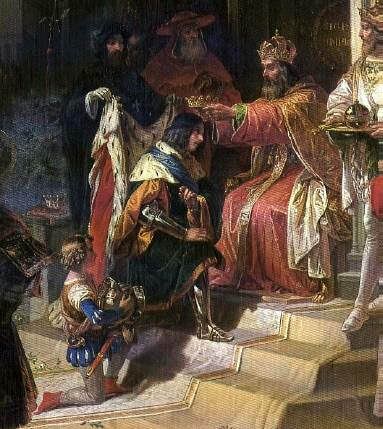 The three powers vied for influence and control; fortunately, the young prince was endowed with firm determination and loyal nobles to defend his interests. And so he matured and successfully resisted the ambitions of his powerful neighbors as well as those of the Dukes of Bourbon, Berry and Burgundy. His baptism of fire came on the attainment of his majority in 1398 when he led his loyalists in checkmating a threat to the succession by the heirs of the Counts of Geneva. Recognizing the need to gain an important ally through marriage, he chose as his bride Maria of Burgundy. Intelligent, serious, affable and gallant, the young Nineteenth Count of Savoy was able to increase his control in Italy and Nice with little interference from the great powers. From 1401 to 1422, he campaigned to recover the area around Geneva and Annecy. To accomplish this he signed treaties with Burgundy, the Duke of Milan (whom he made his son-in-law) and the Cantons of Freiburg and Berne. In 1415, Emperor Sigismund raised the Country of Savoy to a Dukedom and Amadeus became its first Duke. The new duchy was further enlarged at the death of his relative, Louis of Savoy, Duke of Piedmont, the last descendant of Thomas II of Savoy who had founded the Piedmont branch of the dynasty. 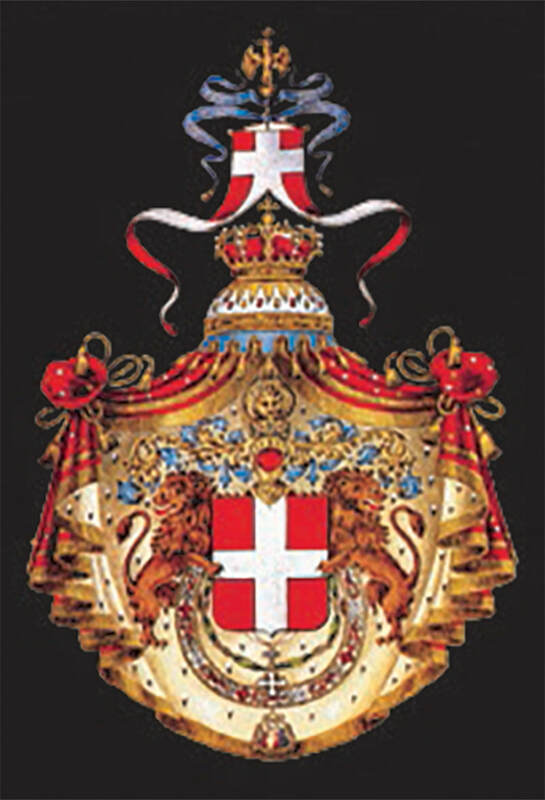 The Duke also nominated a supporter as Bishop of Geneva. 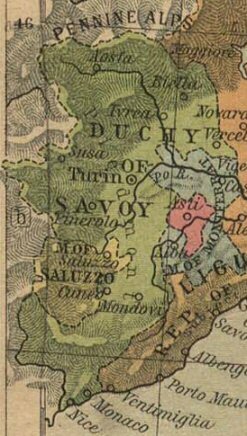 On the domestic front, the Duke promulgated the first codified Statutes of Savoy for general applicability to all parts of the realm, against much opposition from his nobles and the cities. At the same time the new statutes further increased the state’s authority over the feudal nobility. Amadeus also sought to produce, and was successful in engendering, a sense of national identity among his subjects. However, long years of fighting and leadership took their toll on Amadeus. Abruptly, he commanded his most dutiful counselors to attend to him at the Castle of Ripaille, where on February 13, he founded the Order of St. Maurice, a chivalric fraternity named after Savoy’s patron, St. Maurice, a martyred Roman general who converted to Christianity. At the same time he also retired from secular life. Through prayer and meditation he sought peace and serenity from worldly affairs on the shores of Lake Geneva. Statuta Sabaudiae, 1430 (The Statutes of Savoy, 1430). This attempt at administrative and legislative rationalization is particularly early ; it shows the place taken by Savoy in the constitution of the modern state in the West. . C 654. 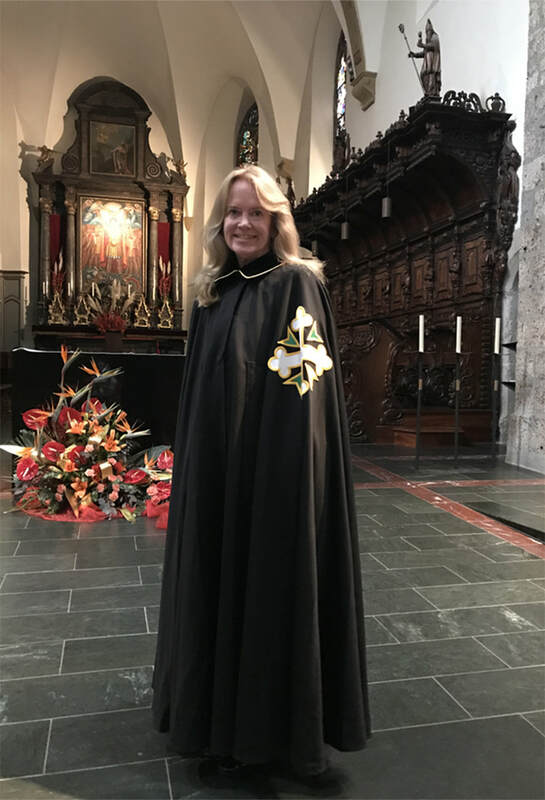 The Statuta Sabaudie, promulgated by Amadeus VIII, codifies the practice of religion, the administration of justice, procedure, personal rights and dress regulations. But life’s final surprise for the retired statesman was that a conclave of cardinals deposed Pope Eugenius IV and elected Amadeus Pope at the Council of Basel in 1439. It was an astounding event, even more so considering that the Pope-elect was not even ordained. Thunderstruck at the opportunity to become Vicar of Christ on Earth, he accepted the papal tiara – taking the name Felix V – and abdicated as Duke of Savoy in favor of his son Louis. But his papacy was a troubled one and lasted only nine years. The church was split between his partisans and those who believed him to be an anti-pope and he never went to Rome. When Eugenius died in 1447 Felix’s usefulness waned. In 1449, when Nicholas V was elected to succeed Eugenius, Felix abdicated and returned, once again, to the Castle of Ripaille where he died in 1551. Before he died, Nicholas V rewarded him for his devotion to the church and appointed him Cardinal Bishop of Sabine and Papal Legate to Switzerland and Savoy. The arrival of Amadeus VIII, in Bern on June 18, 1440, presented in 1483 in the "Official Bernese chronicle" of Diebold Schilling (Burgerbibliothek Bern, Mss.7). ​The successful character of Amadeus VIII’s reign did not carry over to that of his son, Duke Louis "the Generous" (1414-1465). The Second Duke of Savoy was indolent, weak-willed and dominated by his ambitious wife, Anna of Lusignan, daughter of King John I of Cyprus, Jerusalem and Armenia. This monarch’s impressive titles were more honorific than real as the Crusader kingdoms had long since been lost. 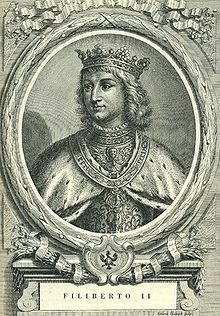 But Louis was induced to undertake a costly and unsuccessful campaign to recapture Cyprus, for which he succeeded to the title of King of Cyprus, Jerusalem and Armenia. At the same time he neglected the opportunity to claim Milan on the death of the last Visconti ruler; and his duchy’s economy was in shambles. Anna’s meddling in government affairs led to insurrections and conspiracies to the point that Louis’ second son, Philip, Count of Bresse, actively allied himself with his father’s opponents. Louis fled to France and sought the assistance of King Louis XI. It was there that he died in 1465. He is remembered today for having taken custody of the Holy Shroud on March 22, 1452 from Margaret de Charny, widow of Count Humbert de Villar-Vextel. He was buried at the Church of St. Francis in Geneva, next to his wife. Antoine de Lonhy, portrait of Amadeus IX, Duke of Savoy, fresco, after 1474, San Domenico church, Turin, Italy. Duke Louis was succeeded by his son, Amadeus IX, "The Blessed" (1435-1472). The much-loved Third Duke of Savoy was born destined to succeed his father but would have preferred a contemplative life like many of his ancestors. For political reasons his mother imposed a marriage with Yolanda of Valois, sister of St. King Louis IX of France. Amadeus was a particular protector of Franciscan friars and endowed other religious houses as well as homes for the care of the poor and suffering. The saintly Duke preferred prayer and meditation to statecraft, which responsibility he delegated to his wife. France and the Holy Roman Empire competed to gain control of Savoy’s strategically important Alpine passes and trade routes. The Duke prayed for peace for his subjects but his constitution was not strong. His death in 1472 was much lamented by his subjects and he was buried at the Cathedral of Sant’Eusebio in Vercelli. It was one of his daughters, Ludovica, who was beatified by Pope Gregory XVI in 1839. Amadeus was survived by three sons, the eldest of whom, Philibert I "the Hunter" (1465-1482), became the Fourth Duke of Savoy. Because of his youth his mother Yolanda ruled the Duchy as regent. Whether as a result of pressure from her French relations or by the invitation of the Regent, French troops occupied Savoy and the Duchy practically became a French province. The growing French influence in Savoy did not sit well with the young Duke’s uncles (the brothers of Amadeus IX) who contested their nephew’s title to the Dukedom. Hoping to stabilize the situation, Philibert married Bianca Maria Sforza, daughter of the Duke of Milan, but they had no children. Against his will, Philibert was taken to Lyon where he died on April 22, 1482. His small body was returned to the Abbey at Hautecombe to lie with his ancestors. The internal squabbles over the succession ceased temporarily with the accession as Fifth Duke of Savoy of his brother, Charles I "the Warrior" (1468-1490). A decisive and fearless young man, he took control the Duchy on his brother’s death and demonstrated remarkable qualities. Charles was fearless in battle and a born leader. After curtailing the French presence, he subdued the rebellious nobles that had sided with the French and re-established his sovereign authority throughout the Duchy. Charles married Bianca of Monferrat. His aunt, Charlotte of Lusignan, Queen of Cyprus, Jerusalem and Armenia ceded her dynastic claims to those Crusaders kingdoms to him and his successors. This was proclaimed by impaling the arms of those kingdoms with those of the Savoy dynasty. The fearless warrior died too young and was succeeded by his young son, Charles John Amadeus [erroneously referred to as Charles II] (1489-1496). The Sixth Duke of Savoy could not have acceded at a worst time. He was only a child when the Duchy needed a warrior. He laid the cornerstone for the Cathedral of Turin but otherwise little is known of the infant Duke who never ruled. He died in Moncalieri in 1496 and was laid to rest in that city’s church. 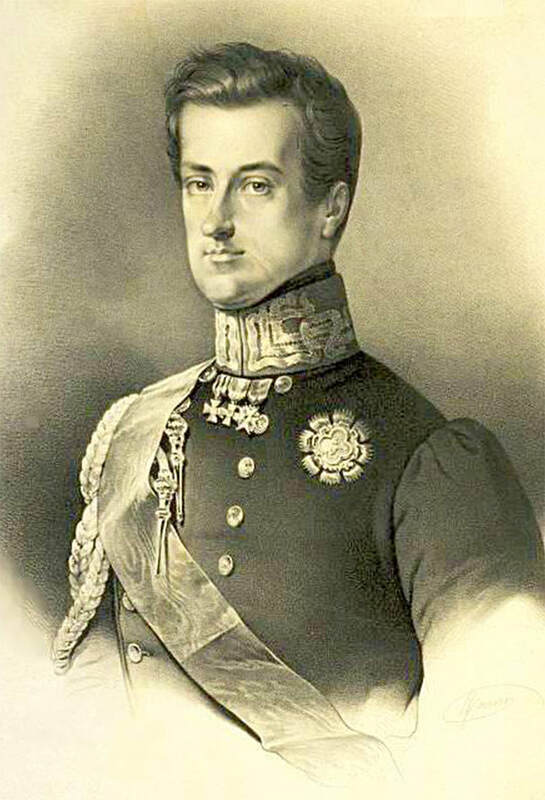 The Sixth Duke was the last male heir of his grandfather, Amadeus IX. The senior claimant to the ducal crown was Amadeus IX’s brother, Philip II (1443-1497), who became the Seventh Duke of Savoy. A close ally of France, he reigned but one year and has been referred to as "Philip without land". Short reigns encouraged French intriguing in the Duchy. Philip was succeeded by his son, Duke Philibert II, "the Handsome" (1480-1504). The Eighth Duke reconciled his family by marrying his cousin, a daughter of Duke Charles I. She did not live long and, having done his duty at reconciliation, he married as his second wife Margaret of Austria to secure peace with the Hapsburgs. He enjoyed the pleasures of life and delegated government to Margaret, which inevitably increased Austrian influence over the Duchy. With no heirs his brother, Charles III "the Good" (1486-1553), succeeded him as the Ninth Duke. Pieter van Coninxloo, Philip the Handsome and Margaret of Austria, c. 1493–1495. Betrothal diptych, National Gallery, London. Philipp II of Savoy (1438 – 1497), surnamed the Landless, was the Duke of Savoy for a brief reign from 1496 to 1497. Savoy was now more than ever caught between the rivalry of its two neighbors, France and the Holy Roman Empire, and Charles could not side with one without provoking the other. Nor could he remain neutral and by siding with Austria he incurred retaliation from France. (It was his added misfortune to be both the uncle of the King of France and the brother-in-law of Emperor Charles V.) The Duchy was overrun by Swiss and French forces. Geneva and Vaud were lost; only Nice and Vercelli remained loyal to him. The Duke died a broken man. The Tenth Duke was his son, Emmanuel Philibert (1528-1580), called "Iron Head." Born in Chambéry, Emmanuel Philibert was tutored at the court of Emperor Charles V of the Holy Roman Empire. He entered the Emperor's service and led the Imperial forces to brilliant victories, in recognition of which he was appointed to serve as Governor-General of the Low Countries. Because of these responsibilities he could not immediately take possession of his occupied and exhausted duchy. The Duke’s reputation as the most brilliant general of his day was assured with his defeat of the French at the Battle of St. Quentin in 1557 and the grateful Emperor saw to it that much of Emmanuel Philibert’s patrimony was restored to him in the comprehensive peace of Câteau-Cambrésis that followed (1559). The Duke was now free to start the reconstruction of his ruined state. He yearned to restore Savoy to its glory. It was an arduous task but the iron headed Duke set out to accomplish it with the same determination he displayed in battle. The Senate was created in 1559; a general amnesty was declared for all his subjects that set the tone for reconciliation between the followers of the Emperor and the French. He established a Peers’ Court and reconstituted the Council of State, or Duke’s Cabinet. In addition to political reform, he reorganized and modernized the army; rebuilt fortifications; strengthened the Alpine passes and built a citadel to defend Turin. The Duke appreciated the Ottoman threat to Europe and equipped and donated two galleys to the Holy League that smashed the Turkish fleet at the Battle of Lepanto in 1571. 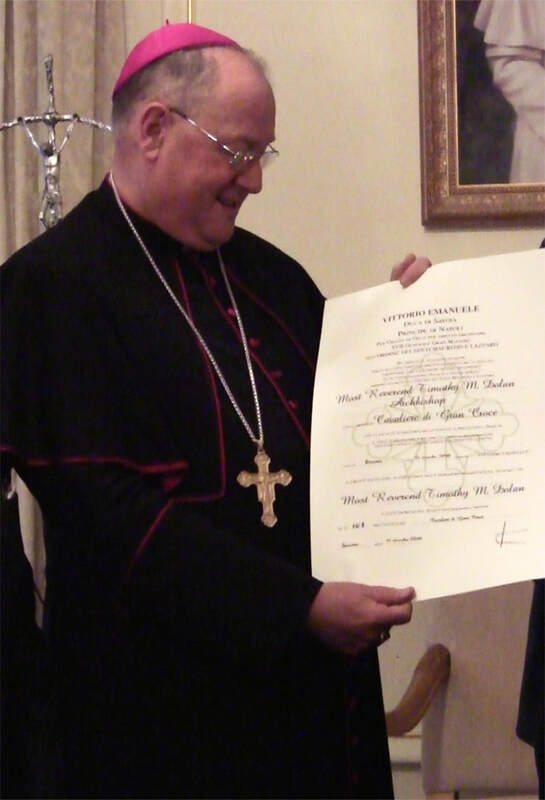 Emmanuel Philibert restructured the Order of the Annunziata. With his active concurrence, Pope Gregory XIII issued two Papal Bulls concerning the future of the Savoy Dynastic Orders. 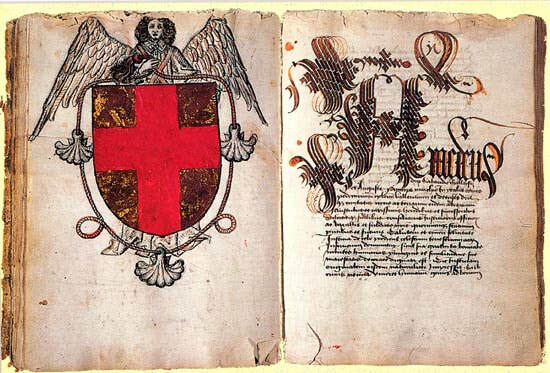 The Bull of September 16, 1572 created the Religious Military Order of Saint Maurice (the same Order that had been founded by Amadeus VIII in 1434). The Bull of November 13, 1572 joined the Religious Military Order of St. Maurice with the Order of St. Lazarus into the combined Order of Saints Maurice and Lazarus naming Duke Emmanuel Philibert of Savoy and his successors as heads of the House of Savoy, in perpetuity, as Hereditary Grand Masters of the Order. Starting in the late Middle Ages and proceeding through the Renaissance, the nation-states of Europe had been evolving from feudalism to more modern and efficient systems of government. The need for greater revenue to pay for professional armies led to the curbing of the power of the feudal nobilities and a greater concentration of authority in the hands of the sovereigns, assisted by centralized administration. Ultimately, this trend would lead to the phenomenon known as absolutism, exemplified in its most extreme form by the career of King Louis XIV of France. Savoy had little natural resources, only a strategic geographical position, and the state was not wealthy. Emmanuel Philibert established absolutism in Savoy: power was gradually concentrated in his hands and those of his successors at the expense of the nobility. The state apparatus (war, justice, tax collection) became efficient because that was in the best interests of the duchy. Through persistence and diligence, the Duke raised his country from ruin and misery into a prosperous and unified state. By the middle of his reign, France and Spain had evacuated Piedmont and he made peace with the Swiss. It is no wonder that he earned the name of "Iron Head". The Edict of Rivoli abolished involuntary servitude in 1561. The Duke also established a Superintendent to regulate the mines of Chambéry and Turin; endowed many Jesuit schools; and founded the University of Mondovi. Well aware of past French invasions, the Tenth Duke transferred the Savoy capital from Chambéry across the Alps to Turin and set the Duchy on a trajectory of integration with the Italian peninsula. Italian soon became the official language rather than French. The Sacred Shroud was also transferred and given a new home in the Chapel of the Sacred Shroud of the Cathedral of St. John in Turin, where this remarkable man died on August 30, 1580. Appropriately, he was entombed in the Chapel of the Holy Shroud. His son, the Eleventh Duke, Charles Emmanuel "the Great" (1562-1630), inherited much of his father’s fearless military spirit and drive to make Savoy independent of the great powers. Charles Emmanuel married Catherine of Hapsburg, the daughter of Philip II of Spain. By marrying her, the French believed that there was a family pact between Spain, Austria and Savoy to unite against them. Catherine Michelle was described as beautiful, intelligent, arrogant and well aware of her high social status. She had a good relationship with her father and exchanged letters with him after her marriage. Charles Emmanuel I suggested the marriage as a way of gaining Spanish support for his plans to expand Savoy on the coast of the then weakened France. The wedding took place in Zaragoza on 11 March 1585 and the couple made their entrance to Turin in Savoy 10 August 1585. Catherine Michelle was initially unpopular because of her arrogance and attempts to introduce Spanish pomp, ceremony and way of dress to the Court in Turin. However, she soon gained respect because of her political and diplomatic skill, which she used to defend the autonomy of Savoy against Spain. She refused the Spanish offer to install a Spanish garrison in Turin from Milan with the excuse of giving her a life guard. She is reported to have had great influence on Charles Emmanuel I and to have reformed him for the better. She also served as regent several times during the absence of the duke on military campaigns, such as during the Lyon campaign in 1594. Catherine Michelle also benefited cultural life in Savoy, founded many new buildings including an art gallery and invited several artists such as Torquato, Tasso, Chiabrera, Marini, Tassoni and Botero. Catherine Michelle died near the end of 1597; she had miscarried earlier that year. Her father died the following year. Her sister Isabella married Albert VII, Archduke of Austria, and later became Governess of the Netherlands. He was able to retake Saluzzo from the French but his forays in Switzerland and Provence were less than successful. When King Henry of Navarre succeeded to the throne of France, Charles claimed it for himself. The bloody conflict that ensued did nothing to change the French succession, but the alliance of Savoy with Spain resulted in territories lost and won with the change of alliances and treaties. A period of destabilization resulted and in 1628, the French overran most of the Duchy. A broken hearted Duke Charles Emmanuel I died in 1630. But fortune once again saved Savoy from integration with France. With French troops still in control of the Duchy Charles Emmanuel’s son, Victor Amadeus I (1587-1637) became the Twelfth Duke. His wife was Christina of Bourbon, daughter of King Henry IV of France and Navarre. This marriage was fortuitous for Savoy. Not wishing to punish his daughter and son-in-law for the actions of Charles Emmanuel I, most of the land of the Duchy was returned to the new duke. Henry IV remained in control of foreign policy but the occupation was abated. Victor Amadeus desired peace for his people and kept clear from foreign entanglements. A wise and popular leader, his early demise was greatly mourned. He requested to be buried at the Cathedral of Sant’ Eusebio, near Blessed Amadeus IX. The Dowager Duchess, Christina of Bourbon, became Regent for their young son, Duke Francis Hyacinth (1622-1638), who succeeded at the tender age of 15 as the Thirteenth Duke. His reign lasted just 362 days, the shortest of any Savoy prince. The "Flower of Paradise," as he was known, died in Turin and was buried at the Abbey of San Michele della Chiusa. Victor Amadeus I’s younger son, Charles Emmanuel II (1635-1675) succeeded his brother as the Fourteenth Duke. His mother Christina continued as Regent and jealously guarded her son’s interests over those of the French. It was not until her death in 1663 that Charles Emmanuel personally assumed the government of the Duchy. With French ambition for European hegemony once again on the rise, Savoy became the battleground of Europe. Charles Emmanuel II was closely involved in the defense of his realm and played the powers off against each other to maintain the integrity and independence of Savoy. Although it suffered much, the Treaty of the Pyrenees restored the Duchy to most of its frontiers in 1669. With a breather, the Duke was finally able to devote attention to construction of grand buildings in Turin and encouraged commercial development throughout the Duchy. He died in 1675.